Production on the sixth and final season of "House of Cards" has been halted after star Kevin Spacey was accused of sexual assault against an actor who claims he was a minor at the time of the alleged incident. "MRC and Netflix have decided to suspend production on 'House of Cards' season six, until further notice, to give us time to review the current situation and to address any concerns of our cast and crew," the companies said in a joint statement. On Sunday, actor Anthony Rapp told BuzzFeed about an alleged encounter with Spacey at a party in 1986. At the time, Rapp was 14 years old and Spacey, according to Rapp, made a sexual advance toward him. 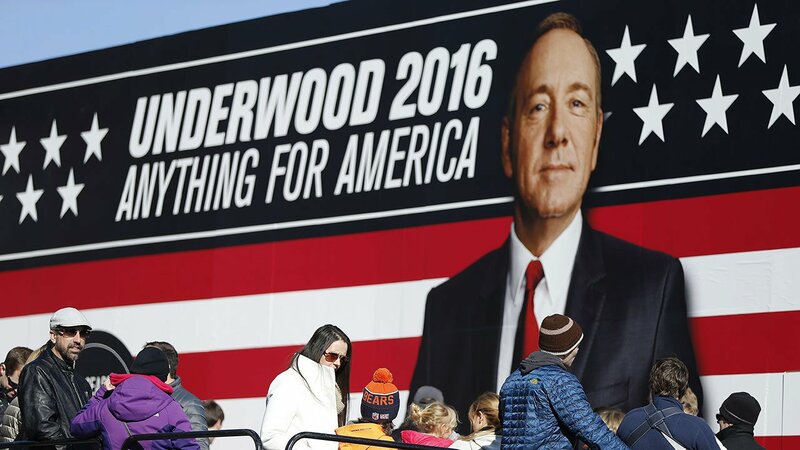 Netflix announced on Monday Season 6 of "House of Cards" would be the show's last. The decision to end the series, according to multiple sources, was made months prior to the allegation against Spacey.